Adventures | A Guide to East Toronto by Swell Made Co. Since 2007, East Toronto has been my home. I love East Toronto. While there have been some breaks (I am currently in Peterborough, ON), I'll always be an East Ender. I know every East End street, I have defended it fiercely over the years, my son was born there, and every time I arrive in the East End, I just feel a sense of calm. It's my happy place. You may think you know Toronto's East End; but do you, really? It's a part of the city that sometimes lays low. You have to dig a little deeper to truly know it. Come east of the DVP with me, as I take you on a guide of my favourite spots in the neighbourhoods including The Beaches, Leslieville, and Riverdale. The Danforth and Little India and everywhere in between. Welcome to the beloved other side. Bodega Henriette | Cafe, shop bar and eatery on Gerrard Street East, Toronto. Often considered "lacking" in the culinary department, I'm going to challenge that. It's not the case, at all. Sure, you'll find Toronto chainlets like La Carnita, Sweet Jesus, Tabule, Queen Margarita Pizza, Dark Horse and Box Car Social (all wonderful) and other transplants in these 'hoods, but here's where it's really at. Head to the Danforth's Tiki style bar for in-house tropical drinks and snacks. This spot promises a fun night out. Bring a group of friends and share a punch bowl. It might be quiet on the outside, but it's buzzing and warm inside. Tucked away on Gerrard Street East this local coffee shop, convenience shop, bar and eatery is as sweet as they come. Delicious food and drinks with chic decor keep the locals coming back to this spot on the corner. Try their other corner spot, Eulalie's, mentioned below. You'll find this hip spot Queen Street East just before Coxwell. Brunch to dinner options are served here, as well as items to grab on the go. It has a comfy and bright California vibe and loads of fresh options made with love. In Little India, you'll find Lake Inez. A mix of Asian street food and craft beer that just works so well. If you're familar with the Wren on the Danforth, you'll love this spot. Just look for the unassuming, but welcoming, door to find out what's inside. You'll enjoy it. Guaranteed. Just a few doors up and over from Lake Inez, Eualalie's Corner store is another neighbourhood secret that offers delicious in-house cocktails and casual eats. I love the chicken and waffles, and the flamingo wallpaper. Start or finish your night here. Egyptian brunch is a must-try at Maha's on Greenwood. This place is always packed, so be prepared to arrive early or wait. It's worth it. Traditional Egyptian food paired with a honey cardamom coffee is the best way to start any day. Just not Wednesday, because Maha's is typically closed. A mainstay in the East End on Queen Street East, Lady Marmalade is another delicious brunch spot offering savoury and sweet waffles, Eggs Benny (with mango and avocado, yes!) like nowhere else. Plus, more! Again, be prepared to line up Portlandia style unless you arrive early. Now available in the Canary District, Tori's originated in the Beach neighbourhood on Queen Street East. Natural, organic and vegan baked goods that will blow your mind can be found all day. Having lunch? The coconut bacon BLT is the BEST. You may bow down and never go back to real bacon. The long anticipated Godspeed Brewery is finally open on Coxwell south of Gerrard. You can buy local brews at the retail space and the unpretentious brewpub is scheduled to follow soon. The established East End brewery, Left Field, offers craft brews inspired by a love for baseball. With names like Wrigley and Maris. High on hops, they offer distinct beer that can stand on taste alone. The Green Wood | Queen Street East, Toronto. RC Harris Water Treatment Plant | Art Deco Architecture in East Toronto. 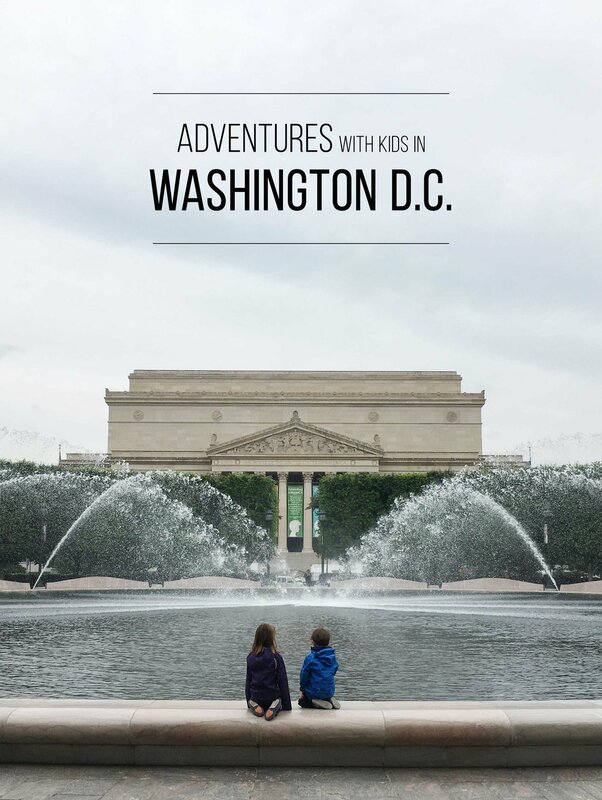 There's so much to see and do in this part of the city. Toronto truly is a "City of Neighbourhoods" which all have their own distinct personalities and flavours. Its' what makes Toronto, so Toronto. Come to the East End and you'll a chill and relaxed vibe. Soak it in all year round at some of my favourite spots. Girls, girls, girls | Tribute wall art in the stairwell of the Broadview Hotel, Toronto. See what all the fuss is about on the Beaches Boardwalk. It turns out, it's worth it, right? Stroll a long the shores Lake Ontario and the city's most beautiful beaches on the Boardwalk from Woodbine moving east. A Great Lake in the city! How lucky are we? Want to head further east? The Scarborough Bluffs are equally stunning, but may I suggest choosing a weekday visit? Unless you love crowds. A hidden gem and perfect way to discover Toronto's green spaces, the Glen Stewart Ravine is a place that feels miles away from Toronto. Soaring trees and bubbling creeks follow you on your walk as you pass happy dogs and neighbours. A pristine example of Art Deco architecture, you must visit this gigantic space on the shore of Lake Ontario. Tucked away at the end of Queen Street East (where the streetcars turn), you can wander the outdoor space surrounding this gorgeous building. Better yet, come during Open Doors TO for a peek inside. It's fascinating to think this type of architectural detail was dedicated to a water treatment plant. The newly refurbished building at the corner of Broadview and Queen (formely Jilly's) is about to have its official grand opening as The Broadview Hotel. This beautiful boutique hotel features a roof top restaurant and terrace, and cafe and bar to enjoy brunch to dinner. Every ounce of this space is stunning and definitely worth visiting, or booking a room for a little staycation. This hotel will transform the East End. Just think of it as the West End's Gladstone Hotel with a similar style and vibe that's be designed just for the East End. Queen East will rival Queen West with this new neighbourhood gem. The best views of city (aside from the Island) can be enjoyed from this rolling and expansive green space. Grab a coffee from Rooster Coffee House on Broadview and enjoy a good book or some simple downtime in this relaxed space in the middle of it all. Some of the city's best musical acts perform at the casual Danforth Music Hall. This is my favourite spot to see live music in Toronto. Mostly because it's close to home, but also because the vibe is so chill. See your favourite bands here first in the "intimate" atmosphere. If you're looking for a place to eat before a show, Seven Numbers offers up a pre-show Italian family style meal. Mmmm. Little India or The Gerrard India Bazaar is one of my favourite 'hoods in the East End. It's teeming with good food, eclectic finds, spice markets and fun events. If you're up for Indian food, my two favourites are Lahore Tikka House and Udupi Palace (vegetarian). After dinner, grab Kulfi pops from any convenient store and stroll around. You'll also find recently rooted restaurants and shops mentioned above and below. Collected Joy | Kingston Road in Kingston Road Village, Toronto. Birch & Co. | Gerrard Street East in Toronto. Some of Toronto's best brands and shops are located in the East End. Here are just a few of my favourite spots to pick up all kind of goods. Small is the new mall. Avoid the crowds and shop local at these sweet shops. Owned and curated by East Ender, Tanya, this sweet shop has perfect finds for gift and home. Lots of local goods can be found in store. In Kingston Road Village you'll find one of my favourite shops, Collected Joy. Everything in store truly brings you joy. From the huge stationery wall to the local goods from brands like Lovefresh, Dalish, Akai Ceramics and even Swell Made Co. Grab a caramel at the counter. They're the best. Found in a tiny house at Carlaw and Queen, is this hip boutique for men and women. They also have gifts, housewares and cute things for kids. Come for the fashion, stay for the best sneaker collection in the East End. Token in Riverdale has cute and quirky gifts and a great record collection. You'll know you're there when you can't stop staring at the hologram wallpaper as you walk in. Tiny, but fierce; this shop is a gem. 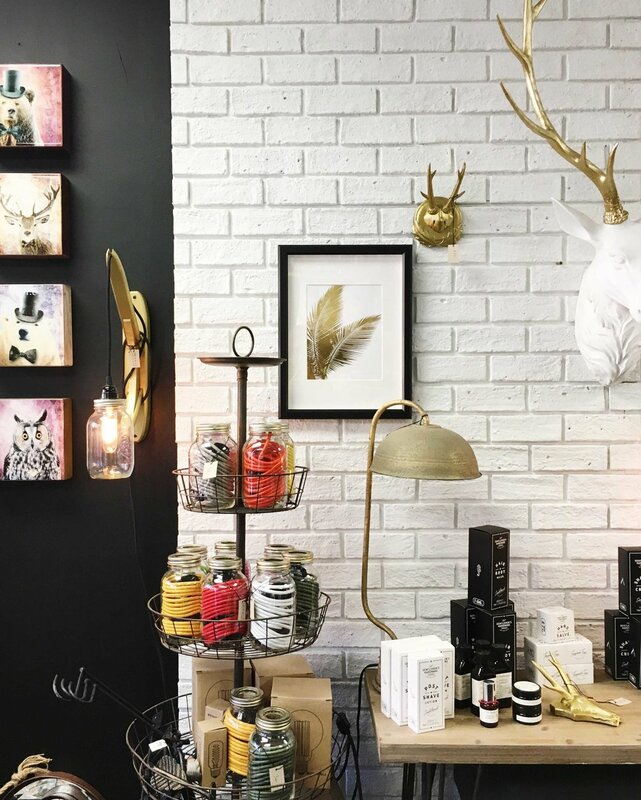 Straight out of the pages of a magazine (literally), Black Rooster has everything for gift and home with an extra bit of panache and style. Top-quality furnishings that are made to last are their specialty. Newly opened, Queenie's cards is a bubblegum pink shop full of fun at Coxwell and Danforth. Longtime lovers of Queenie's cards (and so much more) will find her entire line a long with other cute Kawaii inspired brands like Pusheen and Pocky. This zen yoga and learning space for mom and baby is also home to a lovingly curated gift shop. you'll find the best local goods in skincare, nursery decor and baby fashion. I can never say no to a tiny baby bathing suit! Enjoy the East End, swell friends. Did I miss anything? Just let me know by commenting below. There's no denying Iceland is having a moment right now. It seems everyone I know is going to, or has been to the land of fire and ice recently. We spent 2 weeks in Iceland this past August and it was nothing short of spectacular. While we didn't make it around the entire ring road, we certainly packed in a lot of adventure with two littles (6yo and 3yo) in tow. We all had a grand time. Time away from the regular grind should be awe-inspiring (read about the science behind that claim) and there is no shortage in Iceland. At every turn you'll find something wild and beautiful. Nothing like you've ever seen, because there really is nowhere on earth that compares (geologically speaking). I'm no expert, but I thought I'd share a few of my top 5 tips for travelling in Iceland, just in case you're making the journey yourself for the first time. It's a bit of a mish-mash, and I'm not going to tell you about the top sights or restaurants - there are tons of other great posts about those things (see resources way down below). Instead, here are a few tips that are a little different. There are countless places to seen off the beaten path. Iceland is fascinatingly full of natural wonder and "secret" places you can have to yourself. At least, for a little while. You'll need a vehicle (likely a 4x4), but it's worth the trek. Don't be afraid to veer off the Golden Circle route and explore some little known gems in the area. Bring a picnic too! The same goes for any part of the country. Whether you head to the south or east coasts, or around the entire island, wonders are yours to discover. Definitely, go west (see tip 4). Just be sure you don't take F-Roads unless authorized by your car rental provider. Brurafoss Falls - These elusive icy blue falls are tricky to find, but worth the trek and just minutes off the Golden Circle. This short hike was one of the highlights of our trip because we were the only ones there. Here are the best directions. Gjain Valley + Haifoss Falls - Past Fludir, head east to the magical land of Gjain. Another tricky spot to find. It's named one of the most beautiful spots in Iceland. Here are the best directions. If you've made it this far, you may as well visit the jaw-dropping Haifoss falls as well. Here are more directions! Fjaðrárgljúfur Canyon - Heading east? After you pass the curious and mossy Eldhraun lava fields, be sure to make a stop at this majestic canyon with a calm river that meanders through it. This otherworldly sight is a must visit. Gljúfrabúi Falls - You'll no doubt visit Seljalandsfoss as you drive the ring road, but don't overlook Gljúfrabúi falls. Just a mere 600m from Seljalandsfoss, it's slightly hidden and often missed. Do the extra walk and you won't be disappointed. How often do you get to enter a cave and walk directly under a cascade of water? 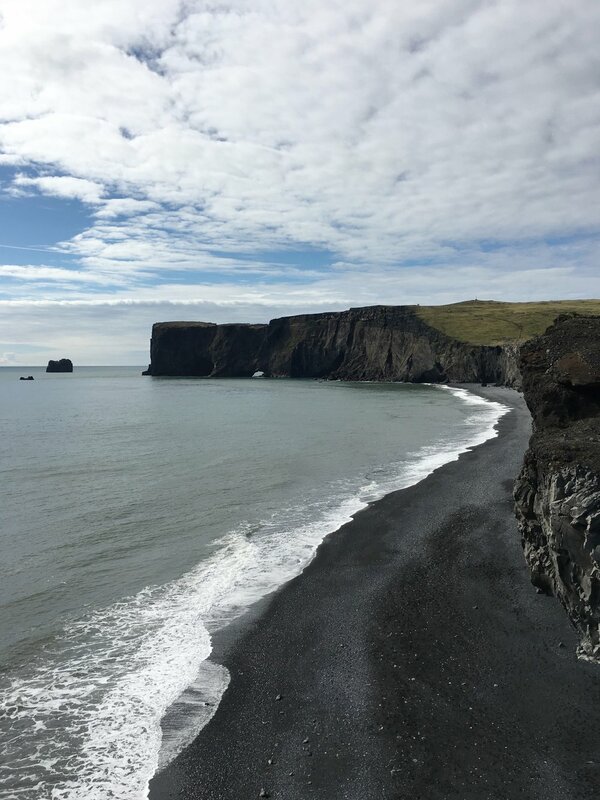 Vestmannaeyjar Islands - Do you have an extra day or two to relax? If so, head to the Vestmannaeyjar islands for a slow-paced visit to a beautiful collection of volcanic islands with an intriguing history. Some of the country's most idyllic hikes, best restaurants and friendliest people can be found here. In Iceland, there is water, water everywhere. For us, it became a consistent theme throughout our trip. Whether we were chasing waterfalls (too many to count) or bathing in the the country's warm community pools or lagoons. Much of Iceland's water comes from natural geothermal sources and it's as pure as you'll ever find. Don't buy bottled water! You can drink from the tap the entire time you're there. Just bring a re-useable bottle. The choice is yours, you can wade in natural hot pots and rivers, old lagoons or brand-new community pools with plenty of room to wallow and even slide. They're inviting and warm all year round. The pool is to Iceland, as the pub is to Britain - a place to de-stress and enjoy conversation with your neighbours and friends. Here is a great list of top swimming experiences Iceland. And more specifically with kids, here is another list. Just remember, you're required to have a full shower with soap (naked), unless you want to be stared at in the pool. It's a huge faux-pas to not shower beforehand. Chlorine is almost non-existent in Iceland. Do your part and keep the water clean. Blue Lagoon - While it's the largest (busiest) attraction in Iceland, you can't come to Iceland without taking a dip in the Blaa Lonid. The images of serene blue water are probably what peeked your interest in Iceland in the first place. Go! Enjoy. It's as dreamy as it looks. Secret Lagoon - Just off the Golden Circle route in Fludir you'll find one of Iceland's oldest and original community pools. Taking pride in providing a natural experience, Gamla Laugin, still has all the amenities you would find at a posh pool. Float around looking for natural hot spots while watching bubbling geysirs. There's also a wonderful bakery in town for a treat after (just look for the signs). Seljavellir - Nestled in a narrow valley in the shadow of the infamous Eyjafjallajökull volcano, this is the oldest swimming pool in Iceland. Take a short hike through a valley where you'll be treated with this humble warm pool tucked amongst the mountains. Here are directions. Reykjadalur Hot River - Take a short hike and wade in a hot river. Yes, that's right! Pack your suit and towel and experience the real Iceland. Here are directions. Community Pools - From Reykjavik to Hofn and every small town in between, you'll find some of the loveliest community pools. It's a civic right to have a well-appointed pool in your community in Iceland. They're warm, clean, and fun (slides!). It's the best way to experience Icelandic life. Not sure where to go? Just look for a sign with a head above wavy lines in any town, and you've found the pool. Laugardalslaug is the largest pool in Reykjavik and worth a visit. It's also part of the city's largest park complete with botanical gardens and a dreamy cafe. And a zoo with epic playground! Make an afternoon of it. Here is a complete list of pools in the Reykjavik area. The one in the Vestmannaeyjar islands was our favourite, complete with various slides and a climbing wall. Here is another great list of the best community pools across the country. While staying in Iceland, live like a local and rent apartments or rooms through booking sites like AirBnb. 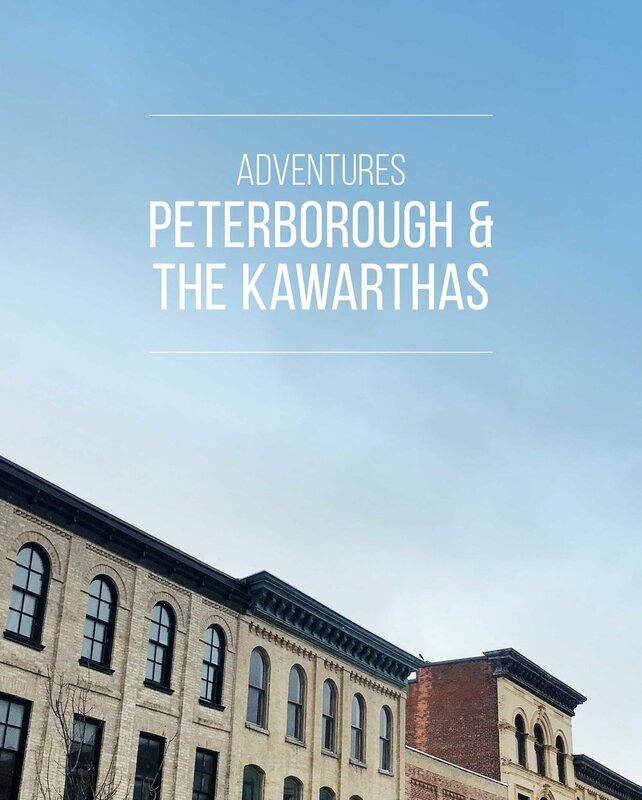 This will undoubtedly give you a peek into local life and provide a comfortable stay. Places are available across the country. From cabins to farmstays, you'll experience the real Iceland and meet friendly locals. You've probably heard, Iceland is expensive. It's true. You'll feel the pinch most when eating out, which you should definitely do (it's worth it). However, if your accommodation has cooking facilities you can save some money by shopping locally at grocery stores like Kronan. Buy local seafood, lamb, cheese/dairy and other goodies so you don't feel like you're missing out. Bakeries are tremendous with loads of local sweet treats. They also offer very reasonably priced sandwiches to pack for road trips or picnics. For wine and beer, head to the Vínbúðin shops for the best prices. We're Canadian and didn't find the prices of groceries and liquor to be that much more than home. You'll notice a lack of fresh produce though. Remember how far north you really are! 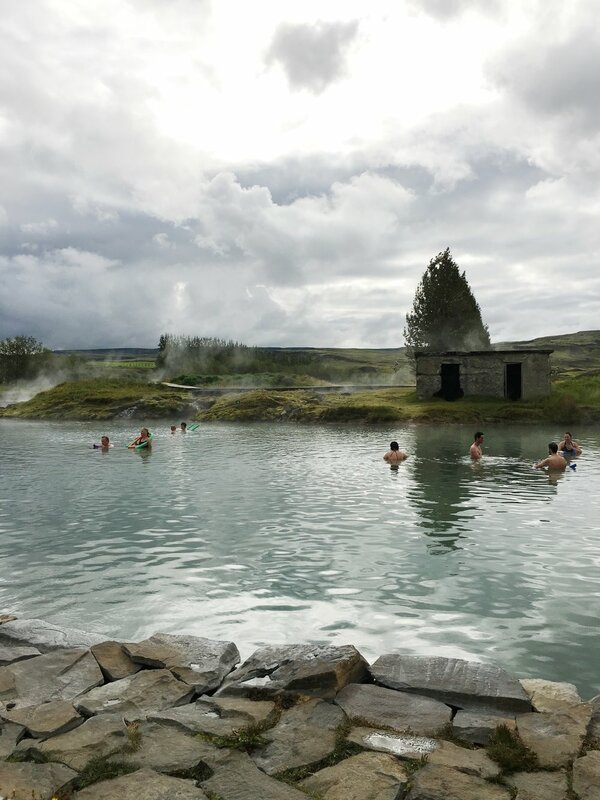 As mentioned above in tip 2, one of the best ways to experience Iceland is through its pools. To understand Iceland's water culture, read here. Bakeries - Delicious and resonably priced. Bakeries are the best way to stay on a budget and treat yourself to something local. Try the kleinur (twisted donuts) and cakes. Just try it all. Sandwiches for picnics are a "steal" at local bakeries. Hot Dogs - When in Iceland, do as the locals do and try pylsur with everything on it. These aren't your typical North American hot dogs. Local, free-range lamb and pork hot dogs are served with ketchup, sweet mustard, remoulade and crispy onions. One isn't enough (they're small), so save yourself lining up twice and get two. You might want to pick up Icelandic mustard to take home from Kronan. It's so tasty! Dairy - Icelander's are proud of their dairy, and rightfully so. Try the skyr (yogurt) and ice cream. It's the best you'll ever have. Well-crafted and pure, Icelandic dairy farms are still small and it shows in the outstanding products. Seafood - Iceland is surrounded by the sea making it an ideal place to try seafood. Salmon, cured fish, lobster and langoustine. Seek what your heart desires and you'll not be disappointed. Music - Sure, you know Bjork is from Iceland; but did you know that Of Monsters of Men, Kaleo and Sigur Rios are products of this proudly creative country as well? Listen local. 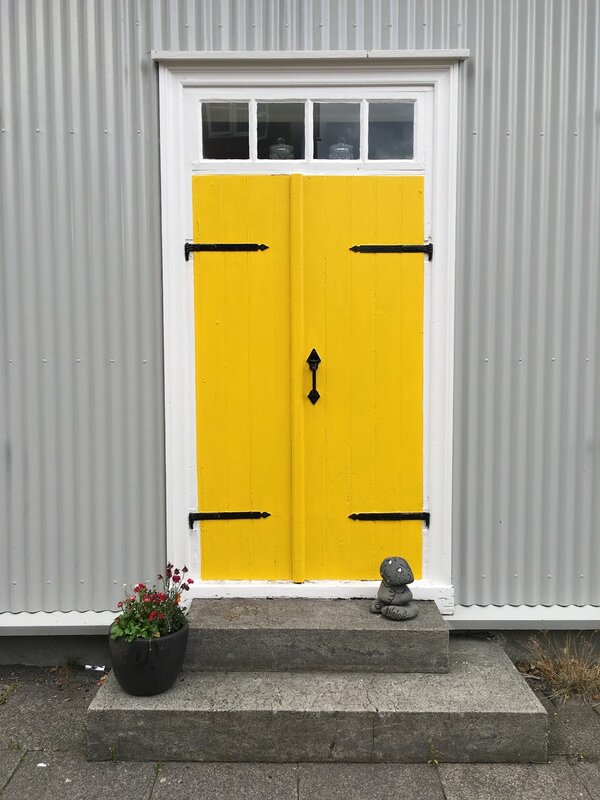 Design - Like other Nordic countries, Icelanders have an innate sense of design which I can only assume comes from a culture that has boundless inspiration from its natural surroundings. Of course, they also greatly support the arts and design. 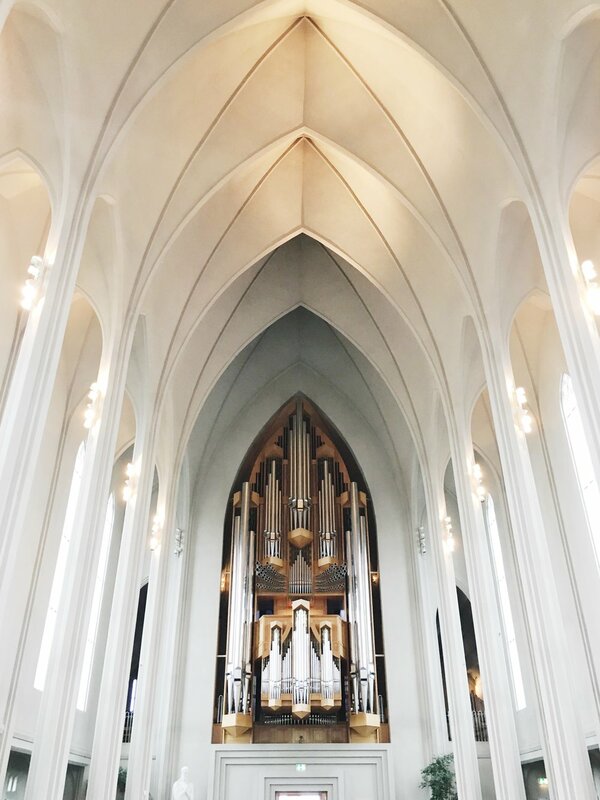 Just look at the Harpa Concert Hall and Hallgrímskirkja Church in Reykjavik, where inspiration comes from the basalt columns found throughout Iceland. 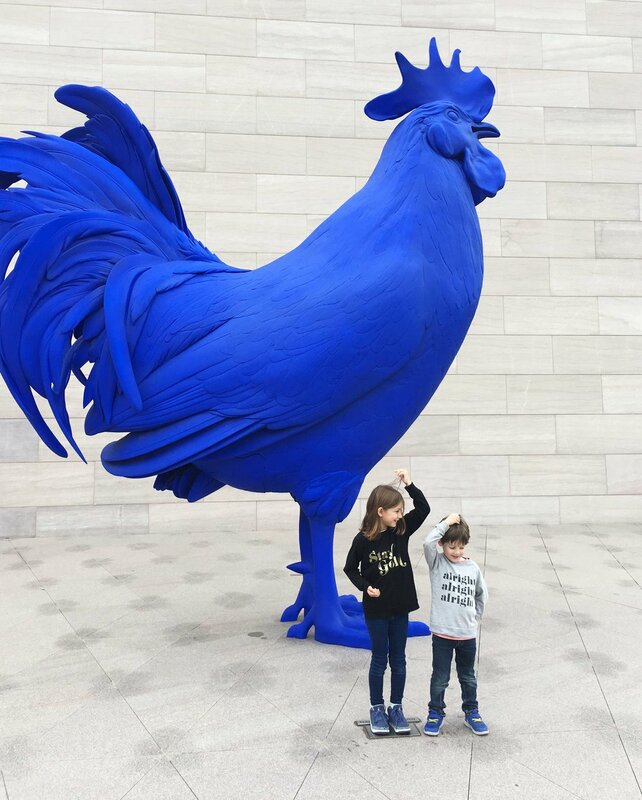 Visit the country's many sculpture gardens, galleries and design shops. They are well-curated and inspiring. You might even find something to take home. Many travellers arriving in Iceland head straight for the Golden Circle (after the Blue Lagoon). In keeping with tip 1; why not head the other direction and go West to the Snaelfellsnes Pensisula, or even further to the West Fjords? Visit a glacier, see charming fishing towns, countless waterfalls, secret hot pots, and take in coastal views (dramatic cliffs to rolling beaches). All in one day. The paths are less traveled, but equally stunning. It's a nice quiet way to ease into your time in Iceland if you have more than a few days. Some of these sights are only one hour from Reykjavik. It's easy to explore something different even if you're short on time. Here's a a great guide. Glymur - Iceland's second tallest waterfall is within reach with this quick, but stunning hike. Here is a guide. Kirkjufell - Iceland's most photographed mountain is on the Snaelfellsnes Pensisula. Complete with waterfalls that have a remarkable view of the mountain, it's postcard perfect. Plus, the drive to the falls is breathtaking. You'll spot waterfalls dropping off nearly every cliff in sight. It's magical. Branafoss + Hraunfossar - Take a detour to see this set of famous falls near Husafell. A collection of countless creeks and cascades small and big streaming out of the lava over a distance of about 900 metres. It's fun to get lost, but you don't have to! Stay connected with wireless spots (including IN your car rental provider) to find directions and stay connected with hosts and friends. If you plan to venture to the back country, always register with Safe Travel. Even in the best conditions, Iceland can be unpredictable so it's a good idea. Plus, it's a great place to stay up-to-date with any alerts that may affect your adventurous plans. That's all, swell friends. Simply put, it was a dream come true. We'd been dreaming of a visit for years and we finally had a chance. I could go on and on about Iceland. Perhaps, I'll do another post in the future and break some spots down in more detail. Thanks to great resources like Unlocking Kiki, Guide to Iceland, I Heart Reykjavik and the Reyjavik Grapevine for guiding us through our trip full of spontaneous adventures.